The National Security Guards (NSG) commandos will be deputed in anti-terror operations in Kashmir valley on an on-need basis. At the Border Security Force camp at Humhaha near Srinagar, now seen training are commandos of the elite National Security Guard, a special forces unit under the Home Ministry. Wearing their trademark black uniform, these special commandos perform drills along with other security forces to build synergy. About two dozen snipers from the NSG’s house intervention teams (HIT commandos) have been training here since the last two weeks. In some time, the Home Ministry hopes to have 100 NSG men positioned at the BSF station. “Since they specialise in anti-hijack drills, they have been placed near the airport,” a senior officer disclosed. The NSG commandos, whose presence in Kashmir was cleared last month by the Home Ministry, will soon be deployed in anti-terror operations in the Valley. Officials say the presence of NSG commandos would help reduce casualties among security forces, particularly against the backdrop of the centre’s plans to intensify operations. Jammu and Kashmir was this week placed under Governor’s rule after the BJP pulled out of their coalition with Mehbooba Mufti’s People’s Democratic Party. SP Vaid, the state’s top police officer has told NDTV that anti-terror operations, which had been put on hold during the Ramzan ceasefire, were being scaled up. The National Security Guards or NSG are India’s elite counter-terrorism forces. They will now be deployed in Kashmir. The NSG snipers, with their pin-point accuracy and the use of sophisticated equipment like through-the-wall radars, sniper rifles and corner shot assault weapons will help reduce casualty figures during the ops, say Home Ministry officials. Officials say there are high casualties when the security forces take on terrorists who are holed up inside buildings. The army avoids these high-risk operations due to the human costs involved and tries to neutralize the terrorists by bringing down the building itself. The NSG, along with their house intervention team commandos, will also have demolition experts for handling such situations. The Home Ministry officials say in 2017, 80 security force personnel and 70 civilians lost their lives. This year, till May, 30 security personnel and 35 civilians have died. The ministry had earlier said as part of the anti-terror operations in Kashmir, it would help the elite commandos to prepare for insurgencies in other parts of the country. 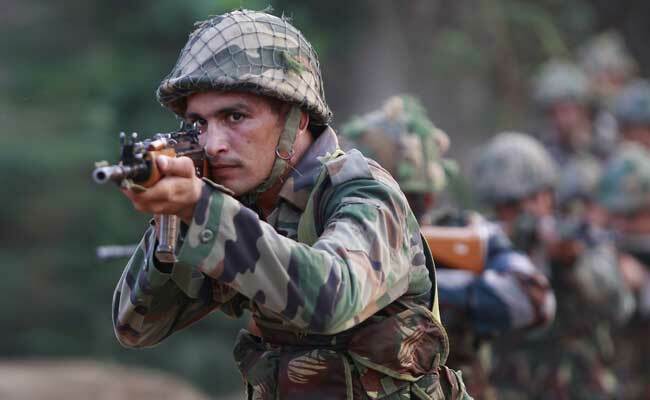 “They have latest equipment but they need practice on real-time basis and face real-life situations,” a senior home ministry official had told NDTV in April. Officials say there are high casualties when the security forces take on terrorists who are holed up inside buildings. A few months ago, the NSG had trained commandos of the Special Operations Group (SOG) of Jammu and Kashmir Police (JKP) at its Manesar headquarters near Gurgaon for anti-terrorism operations. Sources say the NSG’s core efficiency so far has been in counter-terrorism, counter-hijacking operations and proximate security for the VVIPs. It was used in the 90s in limited operations in Kashmir. However, in the last few years, the NSG was rarely used in anti-terrorism operations in Jammu and Kashmir and Punjab with Army Para commandos doing the job. In some of the operations, Indian Air Force’s Garud commandos and Indian Navy’s elite fighters Marcos were also involved in the Valley.